It is time for the 2017/2018 Lille Grand Palais season but also the time to affirm the ambition of a destination which will start by making the events on the Rem Koolhaas imagined facade shine. A legendary 2017/2018 season with a turnover of over 20 million Euro with 274 events, including 165 events at the Lille Grand Palais: trade fairs, congresses, corporate events, and 109 events at the Zenith Arena. A promising 2018-2019 season, as we find see events such as: the International Congress of Francophone Mayors, the Pain Congress and the Sleep Congress which brought together over 3000 participants. At Zenith, the Cirque du Soleil has linked up the numbers and sessions (6 in total), we will also receive Mr Patrick Bruel, Jane, Angele or even Eddy from Pretto. In our 3 spaces, we welcome Miss France in December. Then with the month of January at a 100% occupancy rate we will receive : the International Forum on Cybercrime, then Series Mania, and also SIFER: the international railway sector show in France and many others. Our ambition is to make Lille a destination that is known and recognized in the world thanks to the events that take place there. This translates into a special welcome like ourability to welcome and make people want to return again and again. Since November 29, the Lille Grand Palais exhibition facade has been lit up a lasting way and thus underlines the architectural imprint of Rem Koolhaas. To accompany this technological feat, Lille Grand Palais has worked with the company Caribou Concept. 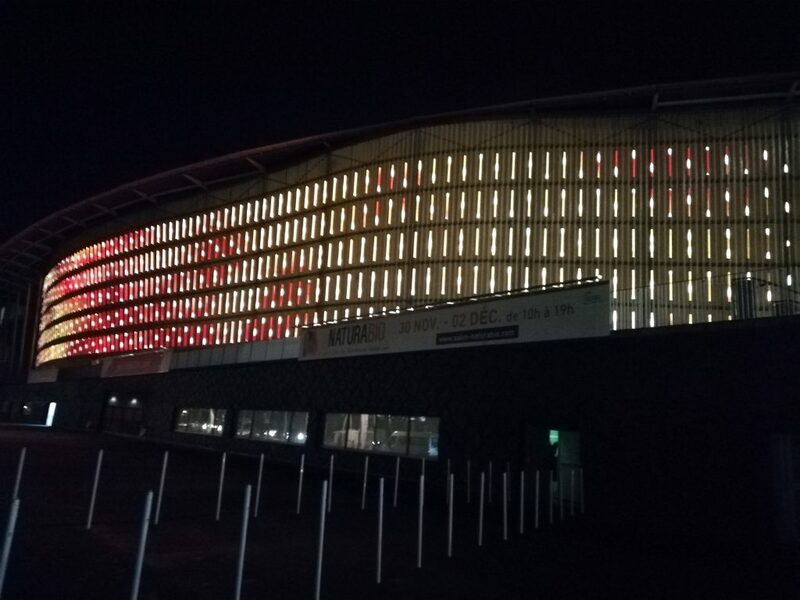 Over 90,000 individually controllable LEDs were installed on a surface of 1500m². This is a first in France for such a large area. Lille Grand Palais, a hybrid and iconic place, has been a major events player for over 25 years. This boldly designed building is the work of Rem Koolhaas. Hyper accessible and hyper-modular can be found in this 3-in-1 building : a Palais des congrès, an exhibition park and a zenith Arena welcoming over a million visitors and 300 events each year. Lille Grand Palais has also been an event organizer and producer for over 10 years.